"Never will I forget the impression the sea made upon me; I couldn't take my eyes off it since its majesty, the roaring of its waves, everything spoke to my soul of God's grandeur and power. . . . I made the resolution never to wander far away from the glance of Jesus in order to travel peacefully toward the eternal shore!" - St. Thérèse of Lisieux, Story of a Soul (Study Edition, Manuscript A), writing of a trip to the ocean when she was 5 years old. Photo: Crescent Beach (or maybe Endert's Beach? 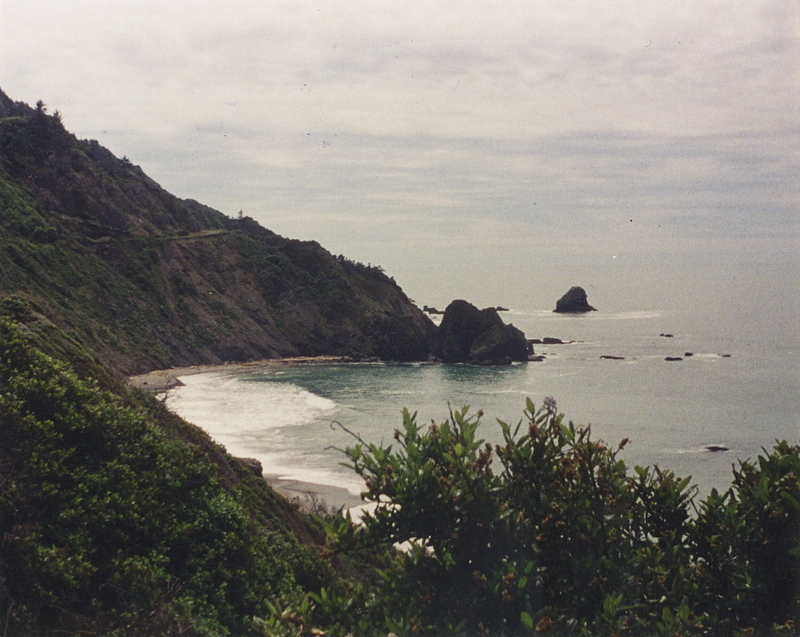 ), Crescent City, California, photo by me, probably taken in 1995. I think this is one of several photos I took from a trail going into a redwood forest on the bluffs above the shoreline.